In 2017, MCEC was granted the Marie Skłodowska-Curie COFUND; a grant from the European Research Council which is designed to stimulate excellence in researchers’ training, mobility and career development. The grant, with a value of 1.7 million euros, will be deployed to attract and involve more international students to and in our research center. Already 19 international talents have been selected. One of them is Michael Jenks (25) who turned out to be exactly the right candidate for the project ‘Catalytic Conversion of Municipal Waste’. Michael: “I grew up on the quiet side of an island off the coast of Scotland; the Isle of Arran. My primary school – twenty-two pupils in total – got its energy from its own wind turbine. It wasn’t until I visited a city for the first time, that I realised that all that ‘greenness’ I’d experienced, the living amongst and with nature, wasn’t so self-evident. “After finishing my master’s thesis in the ‘Mathematical Modelling of Coffee Grinding’ I was appointed as a consultant engineer in the energy-from-waste industry for two years. The company I worked for, helped plants construct and operate high efficiency waste incinerators­– which, I know, is quite low on the ladder of sustainable ways to deal with waste, but still a spot higher than landfilling and probably still one of the only viable options for large-scale waste processing. Additionally, I also worked on the topic of battery storage. Renewable energy is a great resource, but to power the country it’s highly unreliable by itself. One cloudy, windless day and you’ve got a problem. I am really excited to see where research into chemical and mechanical energy storage can take us. F.l.t.r. 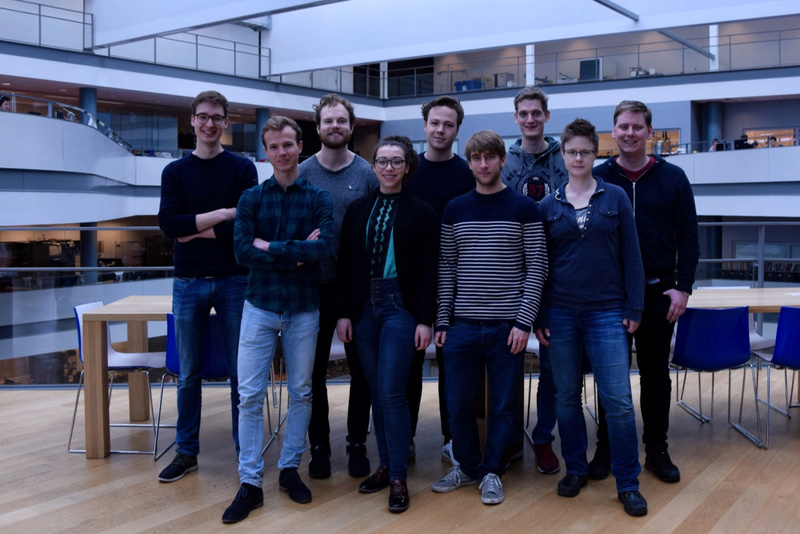 Mark Mangnus, Thomas van Swieten, Michael Jenks, Romy Riemersma, Joris Koek, Rafael Mayorga Gonzalez, Erik Maris, Ellen Sterk, and Jochem van Duin. “I love a complex technical challenge. But when you work in industry, the greater part of your job as a consultant consists of managing people and their tasks, rather than solving complex envirotechnical problems. Besides that, the projects I was involved in were quite focused on, for example, increasing the throughput in order to hit that year’s targets. But the question of how much waste you can get through a facility differs fundamentally from the question of how much energy that same waste can produce. “Ever since high school in which I had a very inspiring chemistry teacher, I’ve been more inclined towards the sustainable route in my education and career. He got me interested in hydrogen fuel cells, by telling us that in order to solve the immense world-wide energy problem we needed to find a way to safely store hydrogen on a large scale. This was still in the back of my mind during my time in industry and, later, during my travels through Myanmar, where there’s both a huge plastic problem as well as a huge energy shortage. 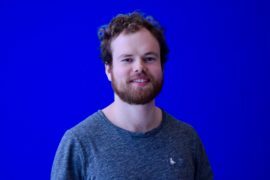 “I’d already decided to pursue my career in academia further when two great opportunities came along: one at TU Delft and one at MCEC. I applied for both and ultimately, got offered both positions. The more I read about the two programs, the more I realised I’d rather come here. The deciding factor was the promise of a challenge. When I spoke to some of the first-phase PhDs of MCEC, none of them said it was easy. They were all very positive about the program and passionate about their projects, but they made it very clear that it wasn’t something that just came naturally. You had to be up for the challenge. And that happened to be exactly what I was looking for. “My project is Catalytic Conversion of Municipal Waste. It mainly focuses on chemical recycling of plastics. A lot of research has been undertaken on the role of reactors in the chemical recycling of waste, but the current solutions are generally either prohibitively expensive to set up and run, or produce a varied product. So, it would be great to find a practical solution and perhaps take a step towards creating a truly circular economy for plastic. In that sense it’s also interesting to explore the opportunities of collaboration with the chemical engineering department of TU/e. Michael works at Utrecht University under the supervision of Bert Weckhuysen and Florian Meirer. He can mostly be found in the David de Wied Building. You can contact him here. On March 12th, new MCEC PhDs from Utrecht came together for an informal meeting with MCEC Office and some first-phase PhDs. You can read about that meeting here.